Friends of Little Munden are proud to bring you, An Evening of Health & Wellbeing on 24th March 6pm – 10pm at Little Munden School. You’ll have the opportunity to experience some relaxing and unique treatments including Clarins Facials, Lava Shell Massages, Reiki, Shellac Nails, Eyebrow Waxing, Hair Treatments and much, much more. There will be expert demonstrations to enhance your mind and body, with a Mindset Coach, exclusive products to improve your overall health and other shopping opportunities. So treat yourself, mum, sister, daughter, auntie or friend for Mothers Day and make a night of it with a free glass of bubbly on arrival and access to a fabulous raffle, bar and snacks. For full event details download the FOLM_Wellbeing_Event_info. To reserve your appointments click the ‘Book Now’ button and navigate to 24th March to check availability and choose your preferred time slots. Treatment slots are allocated on a first come first served basis, school parents have priority booking for ONE WEEK only before publicly advertising, so please don’t delay. 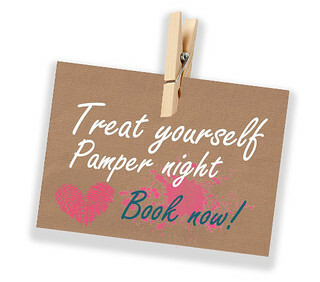 These treatments have been heavily discounted for our guests so appointments will go fast! Entry tickets of £5 need to paid by the 13th March to guarantee your treatment bookings – money to be left FAO Lisa Stalley at school office. Raffle tickets and drinks for sale on night, payment for treatments are to be made directly to the therapist at the appointment. Little Munden school has always been at the heart of the local community and our villages. Who is a Friend of Little Munden? Anyone who cares about the school! Parents, children, grandparents, ex-pupils, villagers – anyone who wants to work with us to make Little Munden an even better place for our children. What does a Friend of Little Munden need to do? As much or as little as they like! Helping at the school, visiting a Fayre, joining a committee, organising an event for others to join in with, donating money, donating time, donating 5 minutes to talk to people they know about what a great school we have – all of these are great ways to help. Contact the school office admin@littlemunden.herts.sch.uk. Back 2 Skool disco this Friday! celebrate with our Summer of Sport Fayre!